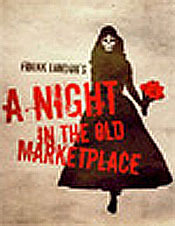 November 12, 2011 8 p.m. One Show Only! Join Miles Rapoport, Lisa Danetz, Lew Finfer, Renee Loth, Jeff Malachowsky, Arnie Miller, Josh Posner, Paul Summit, Ben Taylor, Brenda Wright, Robert Zevin, and Silver Spoon Co-Creators Amy Merrill and Si Kahn for an evening of musical theater, meeting friends, and mulling the future to benefit Demos and The American Prospect. 6:00 – 7:15: Reception and conversation with American Prospect Editor Kit Rachlis, Demos and American Prospect President Miles Rapoport, Si Kahn, and Amy Merrill. 7:30 – 9:30: Reserved tickets to evening performance of Silver Spoon. cabaret show featuring the great ladies and great songs of The Great White Way. The New York Musical Theatre Festival, the original home of Altar Boyz, [title of show], The Great American Trailer Park Musical, Gutenberg! The Musical, the Big Voice and Nerds:// A Musical Software Satire, among many others, will be accepting submissions for their Next Link Project from JANUARY 1, 2007 through MARCH 1, 2007. The Next Link Project is the NYMTF central series of new musicals, accounting for 18 of the 30+ productions in each year’s festival. NYMTF maintain an open submissions policy and a blind evaluation process to ensure that writers from every level of the theatre community, from working professionals to those whose work has not yet been produced, are given the opportunity to participate. We are grateful to all of you, that helped us be chosen out of hundreds of film at this great festival to have an additional screening. conquers all hearts in her passion for art, lifeand Yiddish. Mofa Theatre writes to JMWC about their Zionist play “We need a homeland”. “Bound4Broadway” (www.bound4broadway.org), a nonprofit youth theatre company in the Washington, DC area, is currently in production for “Parade”, the tragic, true story of the trial and lynching of Leo Frank, a Brooklyn- born Jew, living in Georgia in 1913. The show won Tony? Awards for Best Book and Best Score in 2000. Georgetown Prep. School in Rockville, MD. feature songs, skits and memoirs. At the piano – Herb Kaplan. admission: $10 includes kosher pastry and coffee. puppet theater production of “The Dybbuk” here in Portland.